Why a phone? Why not a tablet, like a Windows Surface or an iPad? It’s one of the first questions I get asked when I start explaining this experiment. Or someone will scoff because if it can be done with an iPad or tablet, surely a phone is the natural extension and plenty of people have ditched their laptops for a tablet. There’s two very major differences (and a whole bunch of others that I won’t get into). First, the size. That may seem obvious, but with a smaller form factor you get one major pro and a bunch of cons. The phone is far far more portable than an iPad. Are you really going to carry an iPad to the Opera, or dancing? If you’re going out drinking are you bringing your iPad with you? Sure, maybe if you’re a huge nerd who doesn’t care about carrying a bag around with you everywhere. But normal people under a normal circumstance will be reluctant to have a tablet with them if it doesn’t naturally fit with their attire. It reminds me of the old adage that “the best camera is the one you have on you.” That speaks to why phones have become the dominant camera platform on the planet, far exceeding the big boys like Nikon, Cannon, etc. But it also speaks to why your cell phone is the right choice if ubiquity of access is important. If you have a cell phone on you at all times, you’re far more likely to use it and all of it’s potential. That can be good or bad depending on your lifestyle, but for sake of argument that it’s always a good thing to have your work environment when you need it. The second thing is that the operating system and the way apps work are different. For instance context switching between apps works differently on the different operating systems – a topic I’ll spend a lot more time on later. But it is slightly more difficult to use the phone if you need to switch apps quickly in your work environment. 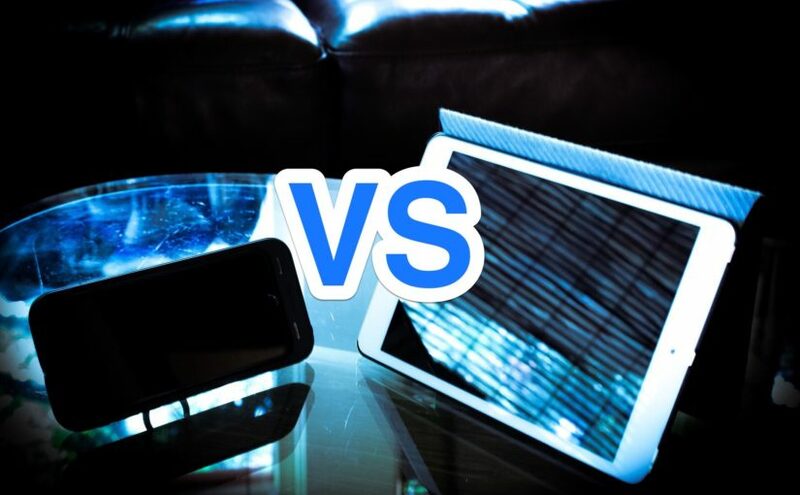 It may seem like minutia, but while tablets may be reminiscent of the phone, they are different enough that I think discussing them as a desktop or laptop alternative is a much simpler task compared to the phone. But hopefully we can change all that and make the phone the go-to for the people who want true mobility.